Product prices and availability are accurate as of 2019-04-18 03:20:17 EDT and are subject to change. Any price and availability information displayed on http://www.amazon.com/ at the time of purchase will apply to the purchase of this product. 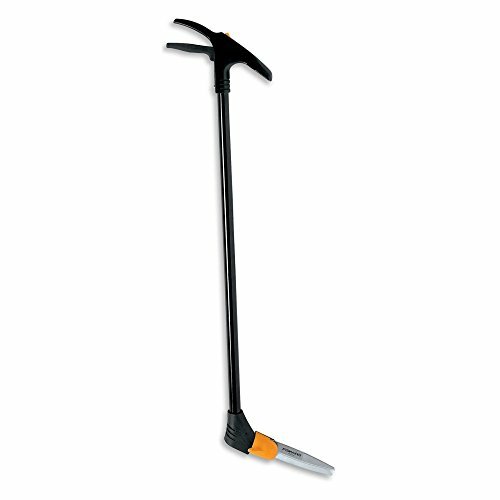 Manicure even your ornamental plants with the Fiskars Long Handled Swivel Grass Shears. these shears rotate to fit your grip and the task at hand. They resist rust and feature lightweight aluminum construction. Dimensions: 10W x 3.5D x 37H in.. Blades rotate 360 degrees. Sharp precision ground blade edge. Hardened steel blades stay sharp. Rust preventative coating.